Unfortunately, I flew in late on Friday, so missed the boat ride, but judging by the vibe at the afterparty, the boat ride was a success. The Kontiki Bar & Coffee Shop is a regular hotspot for the local DJ’s and located in the tourist part of Zurich, within a myriad of backroads just off the tourist strip. Around here you can find all the local coffee shops, restaurants, shops, and bars. Easy to get to, google maps work well to get you around. The bar itself is an intimate venue, placed on two levels; downstairs was the main area and houses two bars, a DJ booth, stage, and dance area. I fell in love with this place and even non-soca lovers passing by, ended up being succumbed to that sweet soca sound. Upstairs provided the setting for a silent party and for just 5 Swiss Francs, you were equipped with a set of headphones. A choice of two channels was on offer here and both DJs played dancehall, for the reggae crowd, (for more on silent parties, please click to check out my Hush articles). However, downstairs was the action arena, with music from the selection of DJs on rotation and live PAs from, the amazing Shurwayne Winchester, Fadda Fox, Scrappy and Zamoni, who kept the crowd jumping. On the decks, we had DJ Mack, Barney Millah, Selecta Iray with Chris Dread, plus many more guest DJs. Moreover what every soca fete needs is its rocking crews and had that with Just Vibez, Soca Tribes & the Pure Lime crews who came out to support this festival. It was a fantastic night and ended around 4am. Two fetes in one! The stamina was on; the afternoon fete was meant to be more of lime but with a selection of DJs performing on decks, there was no time to sit down. The organisers had done really well with the venue here. Inside was a large dancehall, a huge sound system, and stage. The outside area was actually amazing in terms of the decor arrangement and had a real Caribbean feel. Tiered seating was available all around, in stands or even around the bar. Caterers were employed for those that were hungry with local delights (no jerk chicken), but a roti-come-doubles-type alternative was on offer. Each DJ played selections that had the crowd moving with a selection of the old and new soca tracks, with a distinct blend of Afrosoca and French soca. Later on, the festivities moved inside the actual venue for the main fete. No one was tired yet and the afternoon fete we had been part of, was just the warm-up. Where, we were again, treated to a host of international PAs with Fadda Fox performing classic tracks such as ‘Ducking’ and Shurwayne Winchester performing his new track ‘Sit down’. All the artists had the crowd rocking and even participated with the crowd in a Soca train around the venue. Filming up on stage can be dangerous and usually I am very careful but coupled with ‘high spirited’ people, on this occasion things turned out very differently. Unfortunately, an incident did occur, and someone was caught in the crossfire and am in hope that this person made a speedy recovery. This was the chill down spot, the after spot to just chill and meet with friends. The aftermath of two days of feting was clear, a number had travelled back to London for the Hackney Carnival and the mood slightly subdued due to the incident the evening before. Nevertheless, people still had the ‘feting fight’ and the DJs Masteh K, Burning Cloud Sound, DJ Nels 1, Iray and Trini T, ramped up the soca riddims. I suppose some would question feting in Switzerland, as for those who have never visited the country, we may conjure up images of coldness, mountains, skiing, and hiking boots! Rather, September is actually warm and having the benefit of being based in Zurich, there was not a mountain in sight. Zurich is a modern city, and its cheap and easy to travel around, with a transportation choice of trams, trains, and buses. Cycling is also an option too! Although, please beware, it is expensive otherwise, especially to eat! The entire Soca Festival weekend, hosted an incredible line up of soca artists and DJs and the following Swiss soca festival promotional video will provide an insight into the amazing selection we partied with. It is no longer surprising, with regards to the phenomenal growth of the soca fever and where it can be found. Is soca considered an underground sound? I hope not, as the growth of this genre is not just attributed to the Caribbean. As there are so many carnivals outside of the countries of the main early adopters (i.e Trinidad), that host a carnival or a Caribbean festival. Soca has a strong following in Europe, needless to say, the UK, Holland, France, and Germany, also host large Caribbean carnivals. 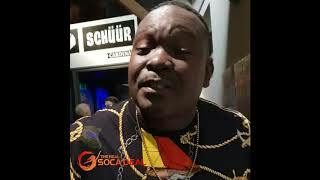 However, there is also a presence in countries such as, Belgium, Finland, Poland, Sweden and Switzerland that have also been long been embracing the soca love. This list is not limited and if you want to understand more, in partnership with Carnevale Network, DJ Mika Raguaa wrote an article, titled, “The European Soca Movement”. 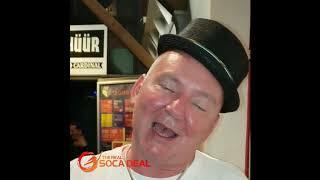 Which was essentially a research piece on soca and its impact of artistry talent, within Europe. So just don’t rule Switzerland out, as a place to visit next for 2019! Take a look at the pictures from this year to see the vibe for yourself. 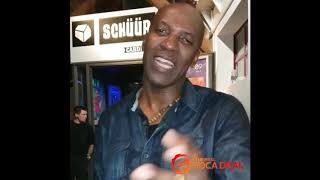 Watch Shurwayne, Fadda Fox & Barney Millah big up the Swiss Soca Festival!